Novotel London Tower Bridge is a 4-star hotel at the heart of the British capital, just metres from the world-famous Tower Bridge and the Tower of London. With London's landmarks within walking distance and sitting in the shadow of its famous skyline, visitors to the London will struggle to find a location better than this. 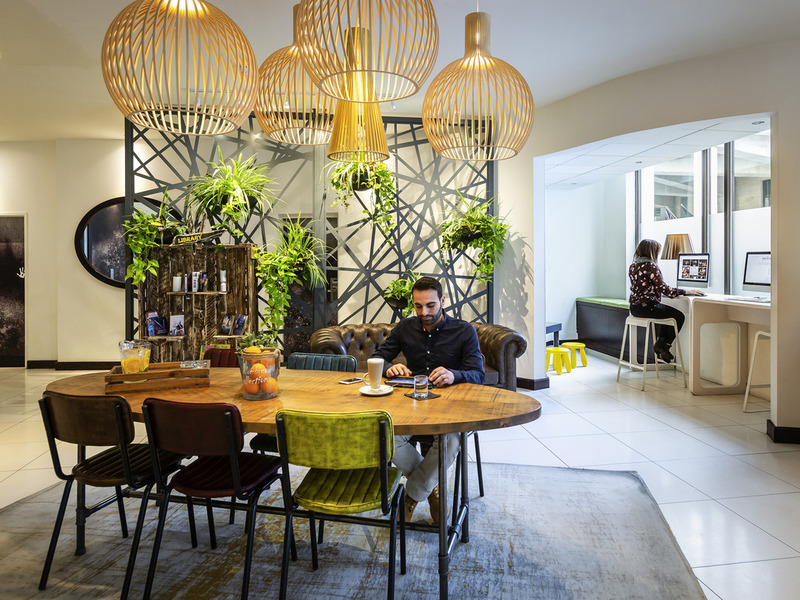 On the doorstep of the City and a couple of stops from Canary Wharf, those visiting on business will love the location and can also take advantage of our excellent on-site facilities. After a busy day of work or play, retire to the comfort of your room where you'll always find free internet access and a Freeview TV. Our sauna, fitness centre and hammam will really help you unwind, before you head for European cuisine and cocktails in our Keepers Bar and Restaurant. We've got everything you need from your London hotel. If you are looking for central London hotels near Tower Bridge, hotels near Fenchurch Street, and in the heart of town, walking distance from St Paul's Cathedral and other tourist attractions, then choose Novotel London Tower Bridge. Chill-out and relax in Keepers bar, with comfy seating and working spaces and an extensive drinks menu with a great selection of wines, beers, cocktails, soft drinks, coffees and teas. The check-in experience was easy. The staff was very helpful. The room was great. Great location and close to Underground. Nice hotel, shame about blocked shower! Nice hotel, nice bar, friendly staff. Shower flooded bathroom every time used so had to keep turning on and off! Drain obviously blocked. Shame as great shower otherwise! It was a very easy experience, easy to check in, easy to stay, easy to check out and every day, it was a good day in the very cold and wet city. Nice room. Breakfast very disappointing. Breakfast was very cramped and when getting the food shoved and pushed by other guests pushing in etc. Food tasted nice but wasn’t very hot. From start to finish our experience of the hotel was extremely positive. The rooms were clean and a good size with excellent facilities. The breakfast was fantastic such a variety on offer. The hotel staff were all friendly and helpful. I would definitely recommend this hotel to anyone and would definitely return to stay again myself. Our third stay at your hotel. We fund the location perfect. Staff friendly. Service second to none. Great experience. Unfortunately only for 1 night. I will come back. The hotel was clean and the staff was very nice. The bed was comfortable and the shower had nice hot water. Fantastic location and pleasant room. Location is key as its nearby or short train ride away from many beautiful attractions London has to offer. Room is cosy and thats all we need for our trip. Beautiful room, friendly happy staff, beautiful bar area. Staff was very friendly and helpful. Hotel was immaculately clean, nothing was too much trouble and breakfast at the hotel restaurant ‘keepers’ was amazing, very tasty and lots to choose from-hot and cold. The hotel was literally a 30 second walk from Tower Hill tube station which was great for my husband and I along with our 2 children and made it easy to get around London. Great price for such a comfortable, high quality hotel. Beds were very comfortable and the room in general was great. Overall extremely happy with our stay and would definitely book again. We have stayed in your hotel two years ago and it has remained a very nice hotel and both myself and my wife will hopefully stay again thank you. The staff were absolutely fantastic, friendly and so helpful, the food was amazing, but unfortunately the room was a bit of a let down, a beautiful room but the carpets were wet from the shower leaking out and an awful smell of damp.